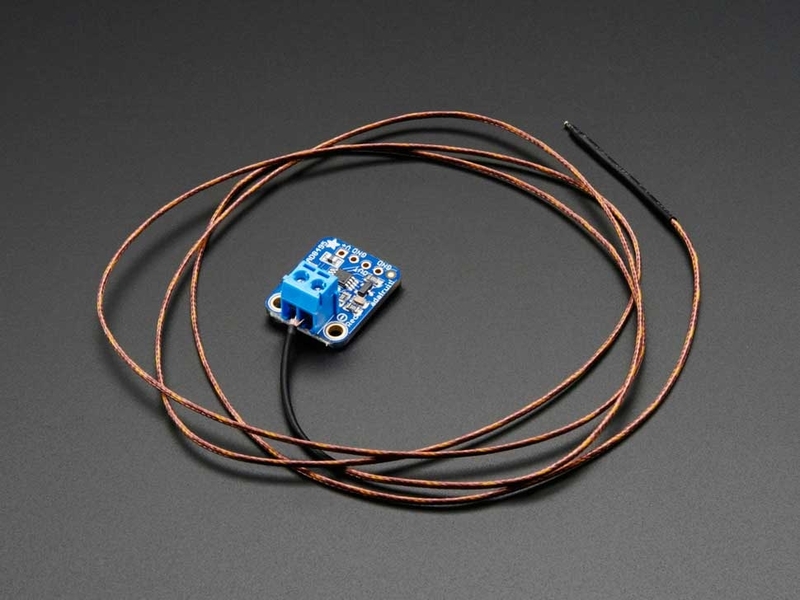 Thermocouples are very sensitive, requiring a good amplifier with a cold-compensation reference. We have a couple digital thermocouple amplifiers in the shop already from Maxim. Now we're happy to introduce an excellent analog-output amplifier. 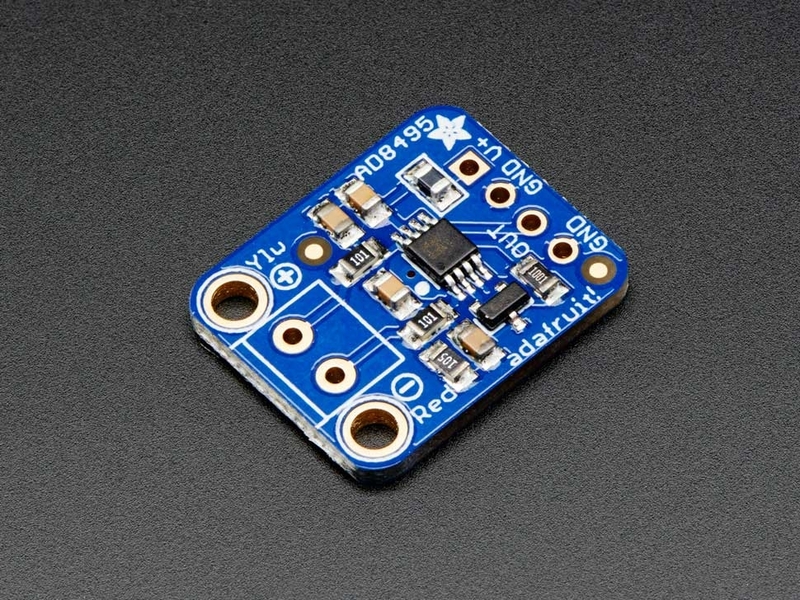 This is a very simple sensor to use, and if your microcontroller has analog input capability, you'll be ready to go really fast! 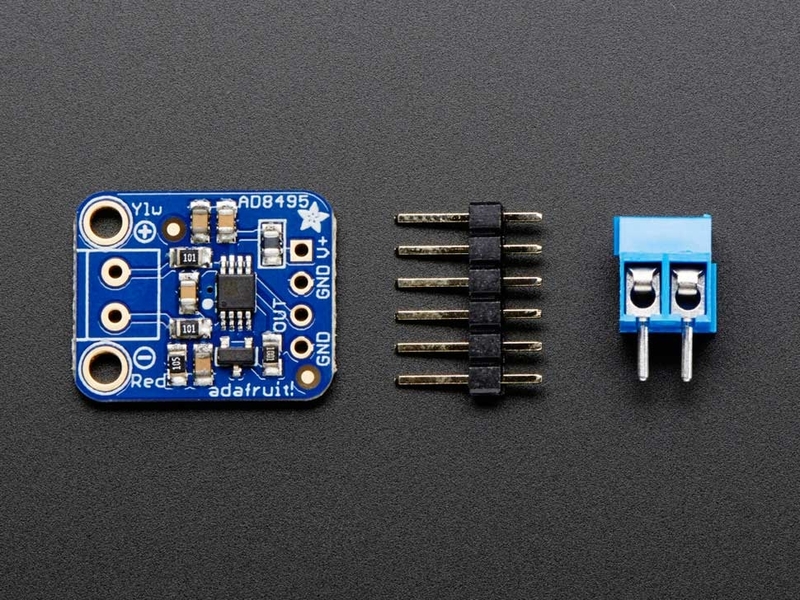 Each order comes with a 2 pin terminal block (for connecting to the thermocouple), a fully assembled PCB with the AD8495 + TLVH125 precision voltage reference, and pin header (to plug into any breadboard or perfboard). 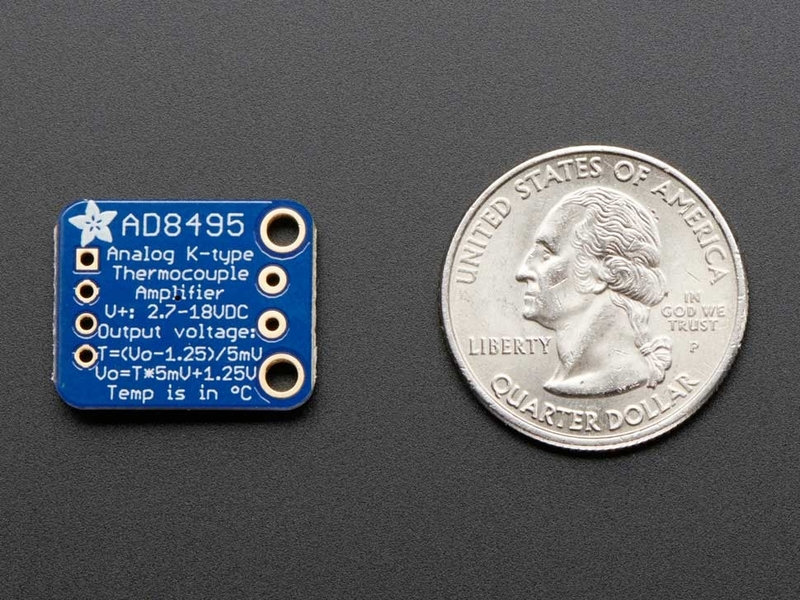 Goes great with our 1m K-type thermocouple (not included). Not for use with any other kind of thermocouple, K type only! 20mm x 16mm x 2mm / 0.8" x 0.6" x 0.08"